I've tasted, I've nibbled, I've savored, I've chomped, I've bit, I've devoured, I've eaten, heck, I've even slurped my way through more than 50 kinds of See's Candies chocolates and other confections but now the column on Sugar Savvy featuring regular tasting and rating of the goodies is about to wrap up. But before See's Piece-by-Piece ends, The Well Fed Network is awarding loyal See's fanatics with a chance to win a $25 gift certificate for See's Candies. 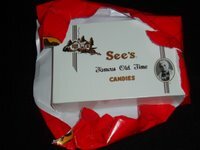 To check out the See's Candies' Trivia Contest and how to enter, see this post. Deadline is January 31st, so get clicking. I'd be interested to know what you thought of See's Candies. 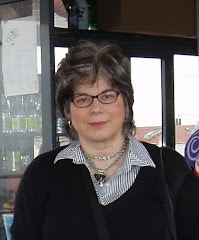 I've been in one or two, and the staff is always quite nice and terribly generous with the samples, but I've always found the chocolate, unfortunately, to be pretty second rate. Alas. 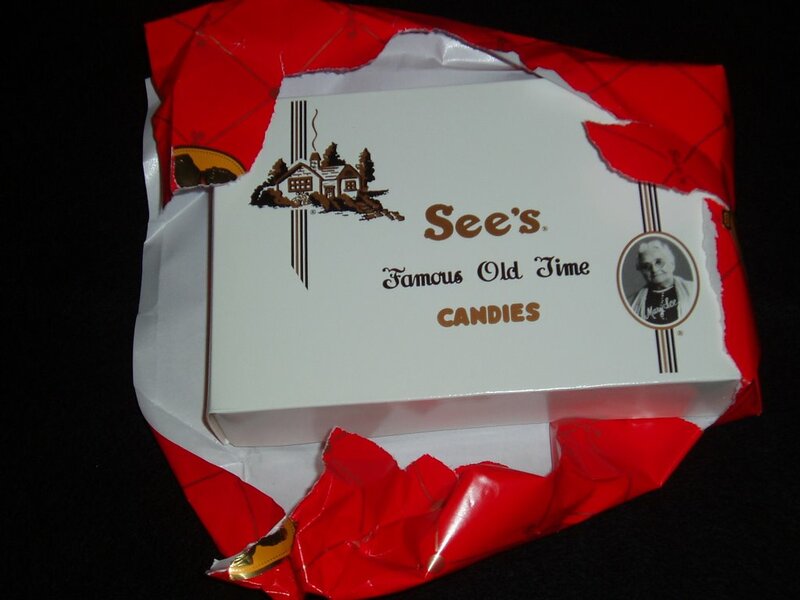 I enjoy See's candies as a good, moderately priced alternative to higher priced, more "gourmet" chocolate. If you understand this is not your ultimate chocolate, but a really good candy at a really good price, you'll do fine there. Having said that, there are winners and there are losers. To get a handle on those, check out my 50+ posts on http://www.sugarsavvy.net you can search The Chocolate Box feature to see them all.